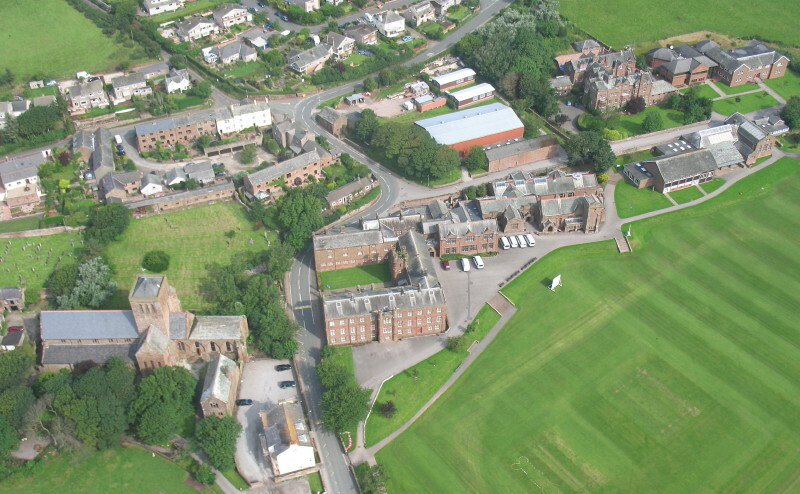 St. 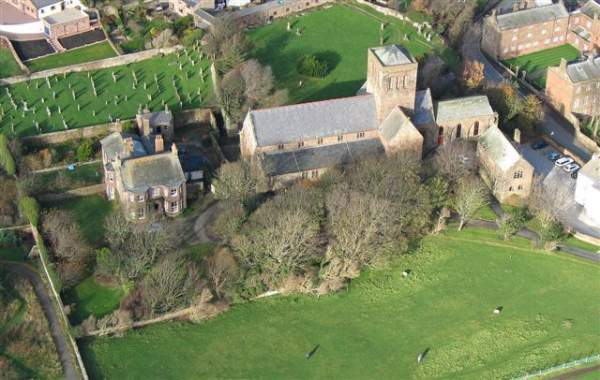 Bees is named after St. Bega, said to be an Irish princess who landed here, about 900 AD after sailing across the Irish Sea to avoid an enforced marriage to a Viking chieftan. 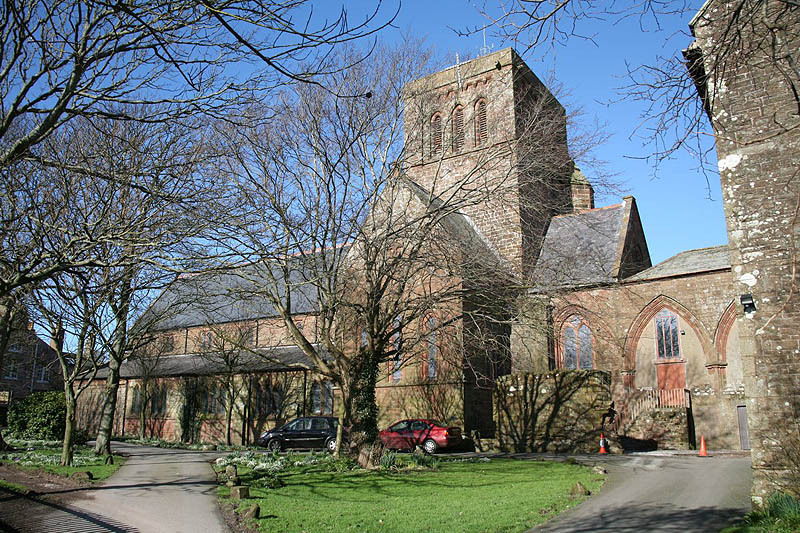 On the site of an earlier church now stands the splendid 12th Century Priory Church of St Mary and St. Bega. 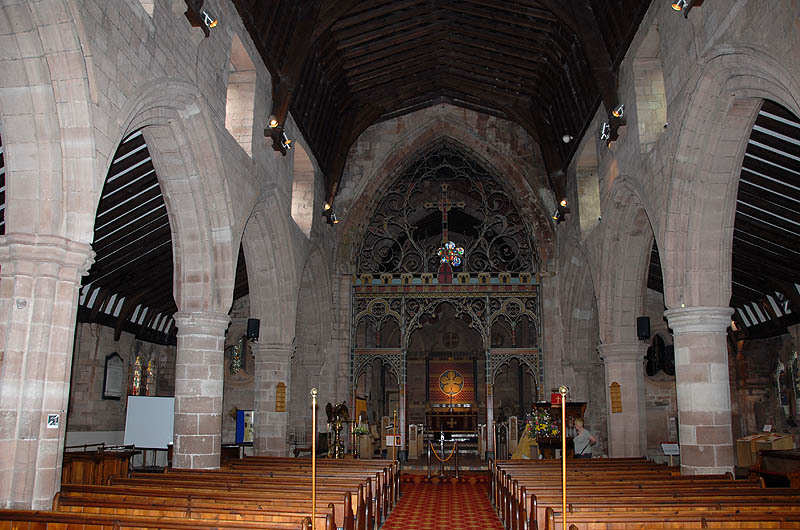 The church was a Benedictine Priory until its dissolution by Henry VIII in 1539. 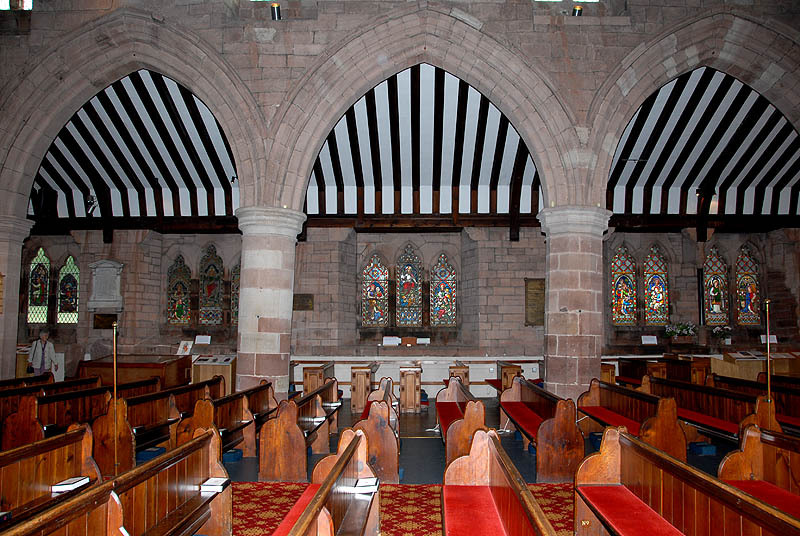 The architect William Butterfield was reponsible for the restoration, which included a new roof (1855), reconstructed aisles and chancel (1867-99), and the iron screen (1886). ‘Father’ Henry Willis built the organ in 1899, his last major commission, and one of the best examples of the work of the famous Victorian organ-builder. 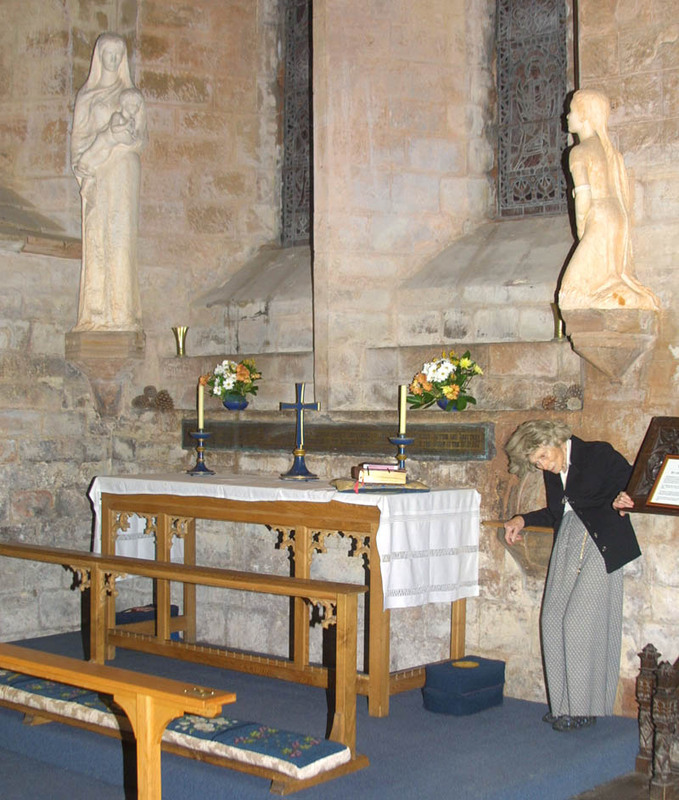 In the North Transept are some sculptures by Josefina de Vasconcellos of the figures of St Bega and St Mary (1955). 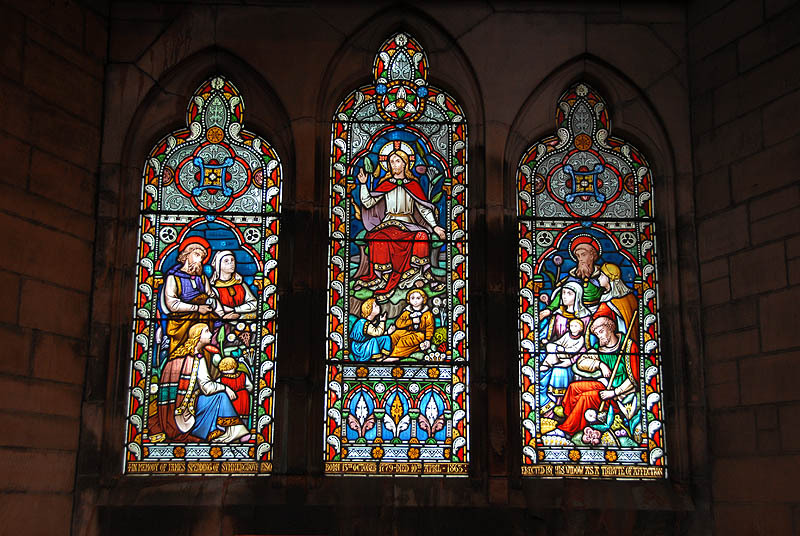 There are many stained glass windows, all except one by William Wailes of Newcastle. In 1981 archaeologists discovered on the site of a ruined chapel, one of the best preserved medieval bodies in England. The ‘History Area’ in the church tells the story of that discovery and displays the shroud of the ‘St. Bees Man’. 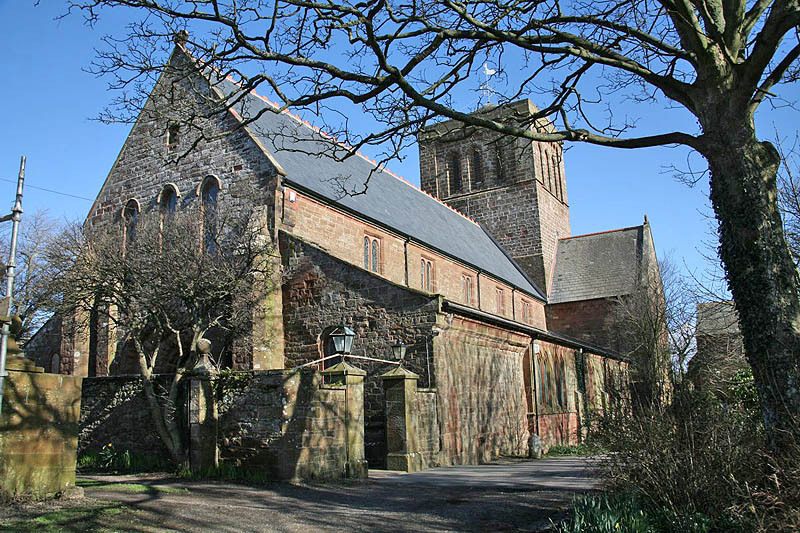 The church is a cruciform structure, surmounted by a magnificent central tower, and its outstanding feature is a superb Norman west entrance, comprising five semicircular arches decreasing in size as they approach the door. 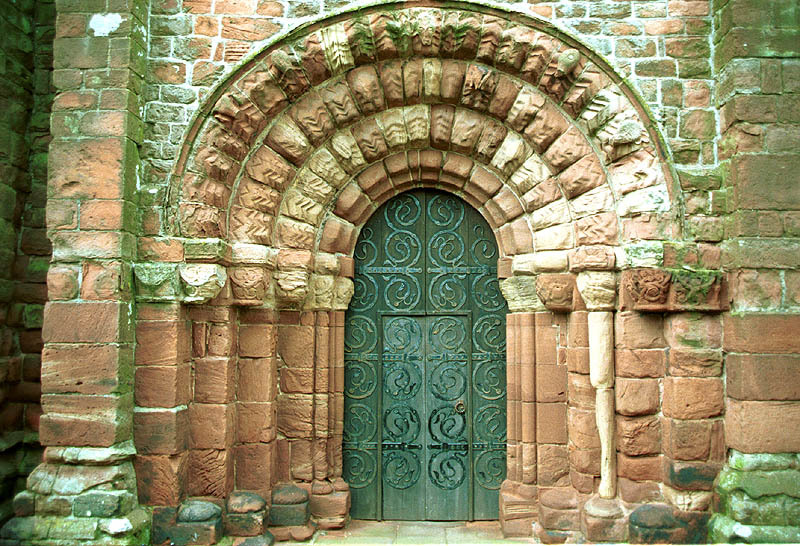 They are decorated with beak heads of men and serpents, whilst the dripstone above the outer arch is embellished with a trefoil, designed to represent the Trinity. There are a number of old relics in the church, including a 12th Century stoup and piscina. 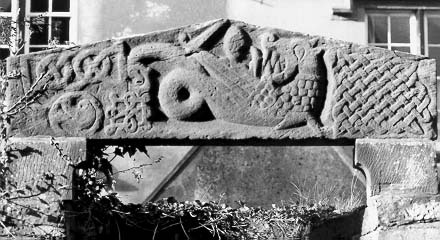 Look out for the pre-Conquest carved Beowulf Stone, on a lintel between the Church and the Vicarage, showing St Michael killing a dragon. 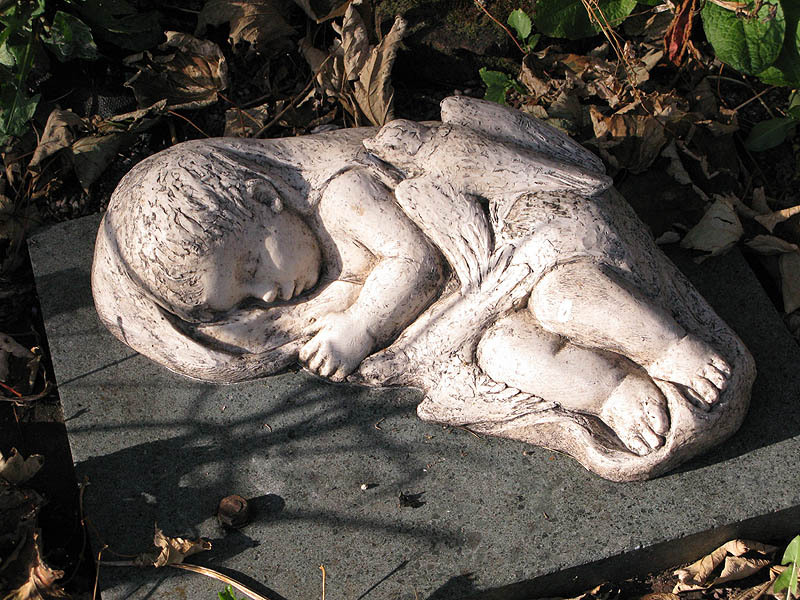 Just before her death in 2005, Josefina de Vasconcellos donated three of her sculptures to create a special garden in the grounds of St Bees Priory. 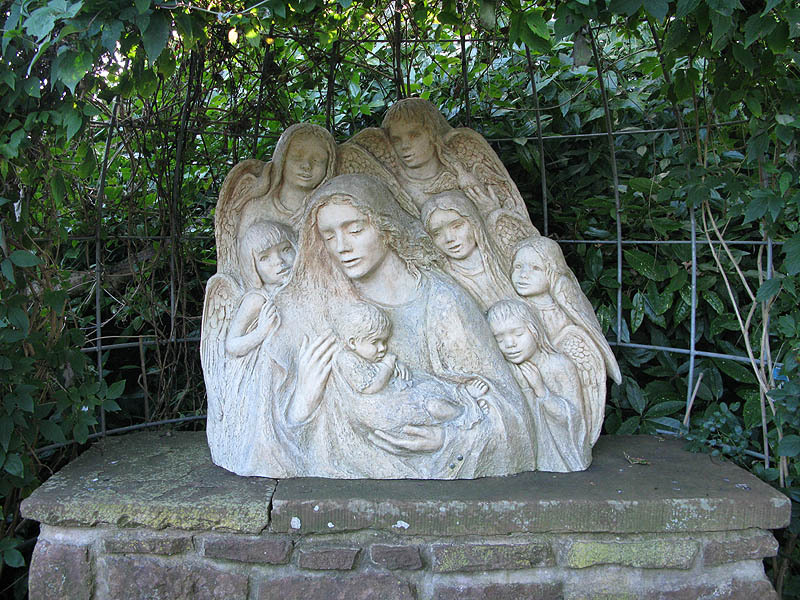 Her wish was that they be placed in a garden dedicated to those who had suffered from the loss of a young life before or after birth. 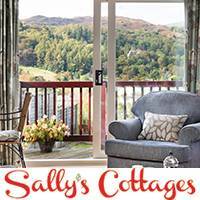 The garden is being developed in accordance with her wishes, and with the support of both those who have lost young lives, and her many admirers, including Sir Richard Branson, whose generous contribution allowed much of the garden to be created before she died.